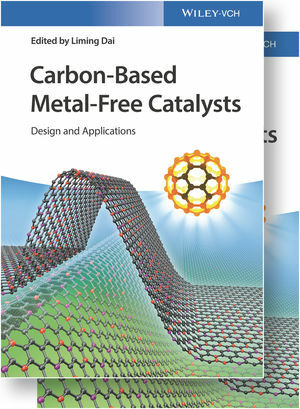 Offering comprehensive coverage of this hot topic, this two-volume handbook and ready reference treats a wide range of important aspects, from synthesis and catalytic properties of carbon materials to their applications as metal-free catalysts in various important reactions and industrial processes. Following a look at recent advances in the development of carbon materials as carbon-based metal-free catalysts, subsequent sections deal with a mechanistic understanding for the molecular design of efficient carbon-based metal-free catalysts, with a special emphasis on heteroatom-doped carbon nanotubes, graphene, and graphite. Examples of important catalytic processes covered include clean energy conversion and storage, environmental protection, and synthetic chemistry. With contributions from world-leading scientists, this is an indispensable source of information for academic and industrial researchers in catalysis, green chemistry, electrochemistry, materials science, nanotechnology, energy technology, and chemical engineering, as well as graduates and scientists entering the field. Liming Dai is the Kent Hale Smith Professor in the Department of Macromolecular Science and Engineering at Case Western Reserve University (CWRU) in Cleveland, Ohio (USA). His expertise covers the synthesis, functionalization, and device fabrication of conjugated polymers and carbon nanomaterials for energy-related and biomedical applications. He has published more than 400 scientific papers and is the author/editor of five books.